Mutual funds (MFs) might soon have a direct stake in the performance of their own schemes. The Securities and Exchange Board of India (Sebi) is considering a proposal to make it mandatory for funds to invest a minimum amount as seed capital in most of these. The capital markets regulator might also increase the minimum net worth requirement for funds, as it attempts to ensure only serious entities stay in the business. These proposals, part of Sebi's long-term policy for the domestic MF sector, are likely to be discussed at the regulator's board meeting in New Delhi on Thursday. Sebi might also finalise the revamp of its corporate governance norms at the meeting, where it is likely to announce a slew of measures on independent directors, related-party transactions and succession planning, sources said. Sebi might decide to ask the sponsor or promoters of funds to invest at least Rs 50 lakh as seed capital in all schemes. This will ensure they have some 'skin in the game', said a source. “Seed capital is an excellent idea. Just as investors, sponsors should also have their money at stake. The board of an asset management company (AMC) will then be more concerned about what is happening to their money. Also, they will be the last people to exit, so it will be good for the scheme,” said Dhirendra Kumar, chief executive officer (CEO), Value Research. Sector officials said the concept of seed capital would help align the interest of managers with those of investors. Added Rajeev Thakkar, CEO at PPFAS, “Managers should have interest in the scheme and not only be looking at the fees. If managers have a significant stake in the scheme, they also suffer if there is a fall in the NAV (net asset value). However, if the fund corpus is very large, the seed capital might not make too much of a difference." 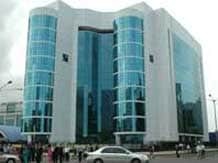 Sebi could also decide to increase the net worth or minimum capital requirement to Rs 25 crore from the existing Rs 10 crore for setting up an AMC. The higher worth, however, might only be made applicable to fund houses with assets under management (AUM) of more than Rs 1,000 crore. The seed capital invested by sponsors could be included as the net worth of the AMC. The long-term policy will set an objective of expanding reach beyond metros and Sebi is likely to ask AMCs to step up efforts in this direction. It is likely to propose tax breaks for funds. In the recent past, Sebi chairman U K Sinha had expressed concern over the performance of MFs — their inability to deliver benchmark-beating returns and lack of efforts to penetrate beyond the top centres. At present, the total assets managed by fund houses is a little more than Rs 8 lakh crore, of which 87 per cent is contributed by only 15 cities. The new corporate governance code, to be in line with the new Companies Act, will put a cap on the number of companies a person can serve as an independent director (ID). Nominee directors, typically appointed by strategic investors such as private equity firms, might no longer qualify as IDs. Overall, the responsibilities and liability on IDs, considered to be representatives of minority shareholders, are to go up. The regulator might also ask companies to put in place a succession plan for appointment of senior management and board members, to ensure companies don't suffer from a sudden and unplanned gap in the leadership. The new code is also likely to crack down on related-party transactions, which put minority shareholders in a disadvantageous situation, by giving the latter more say.